One of the leading Bangladeshi airlines is the US-Bangla Airlines. It comes with international standards of service along with ultimate flying comfort and incomparable reliability. These all made it the best on-time performing milestone. It’s aimed to be the most preferred Asian Airline through its dependability, safety and the best relaxing service. 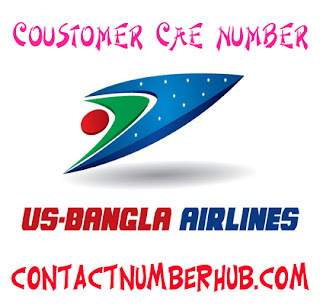 The US-Bangla Airlines (USBA) also has set absolute excellence as one of its goals to achieve with honest dedication. It was rewarded as “The Best Domestic Airlines” of Bangladesh for the year 2015 and 2014 from the Bangladesh Travelers Forum. The USBA is the single Bangladeshi airline that’s achieved the certificate of ISO 9001:2008. Customers’ satisfaction through its well trained as well as dedicated service team is one of the main endeavors of the US-Bangla Airlines. As a result, it likes to offer cost effective air traveling with highest safety, comfort and standard. Moreover, the teamwork is firmly determined to contribute to the country’s economy. The air traveling company initially buys 2 DASH 8-Q400 Bombardier aircrafts and the third one gets after a few months. Its 76 seated aircrafts in single cabin come with high speed engine and fly with a speed of 667 km/h. The Q400 aircrafts are the fastest propeller with safest and having no records of accident. The Airlines is operating its international flights since May 15, 2016. Currently, its Jet engine Boeings are flying to Kathmandu and other SAARC countries, Middle East, Southeast Asian countries, Doha, Dubai, Saudi Arabia and China. On the other hand, it’s convenient for the passengers of inbound and outbound to get connected with Dhaka, Chittagong and Sylhet routes. The airline is already achieved the title of the best domestic airlines in the country. Phone: (880-2) 8822610, 8822608, 8818397, 9889232. Arif Plaza, 41, Kamal Ataturk Avenue, Banani, Dhaka. House Number.20, Lake Drive Road, Sector#7, Uttara Model Town. 56/1 Purana Paltan, Baitul View Tower (16th Floor), Dhaka-1000. Road#2, Block# C, House-8, Banasree, Rampura, Dhaka. Day Off: Friday and other Govt. holiday. Moreover, there are offices of the US Bangla Airlines in Jessore, Khulna, SAIDPUR, BARISAL, COX'S BAZAR, RANGPUR and RAJSHAHI. There are some international offices in the different countries across the world.